We are in the mid of the winter season. Most of you might have been facing a severe winter conditions, but here in Delhi, it's yet to show us the real might of the - "Dilli ki sardi", which, we are bound to face from around mid December. As the winter season sets in, there's a great chance to get some of the most diverse flora we get during the winter season. The small but beautiful blooming plants with some of the most bright and contrasting colours are a feature of Indian winters, that you can't afford to miss. Pansies, petunias, chrysanthemums, dianthuses, calendulas, marigolds, dahlias, ghazanias, poppies are among some of the plants that bear some of the most vivid and beautiful flowers, that are available in as many colours as you can think of. Get a bunch of pansies, and you're in for a flower show resembling beautiful butterflies, with hues of contrasting colour shades available. 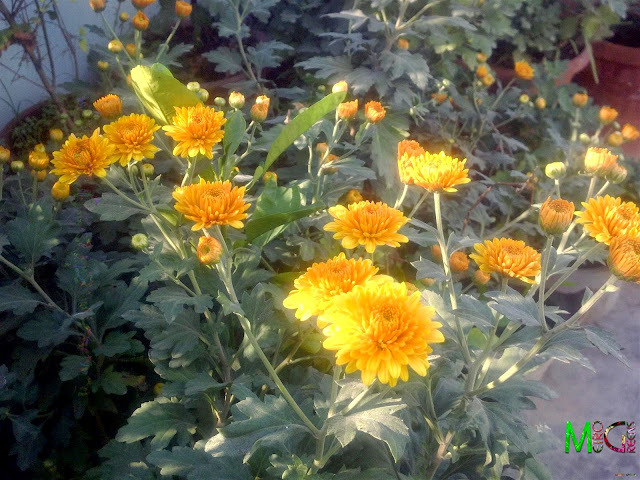 My garden, that, as a permanent feature, includes chrysanthemums that bloom for a month, every year, during winters. The hundreds of flowers that bloom in bunches, for over a month, in the month of December, is a feature not to miss for any gardener. A few pots in my rooftop garden, are permanently reserved for chrysanthemums, that bloom every year. For around a month, all of my chrysanthemum plants are bearing buds, and the plants now have reached the blooming stage. And the first one to start blooming are the orange chrysanthemums. It's a happy feeling as I'm in to have a full month of bloom show. Here are some of the first blooms, small in size as the buds have just started to open. 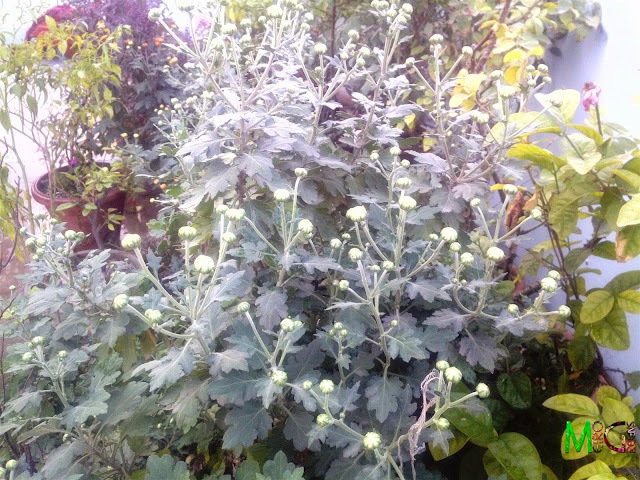 The hundreds of chrysanthemum buds. developing, promising me a flower show. The cream coloured chrysanthemum buds, staring to bloom. 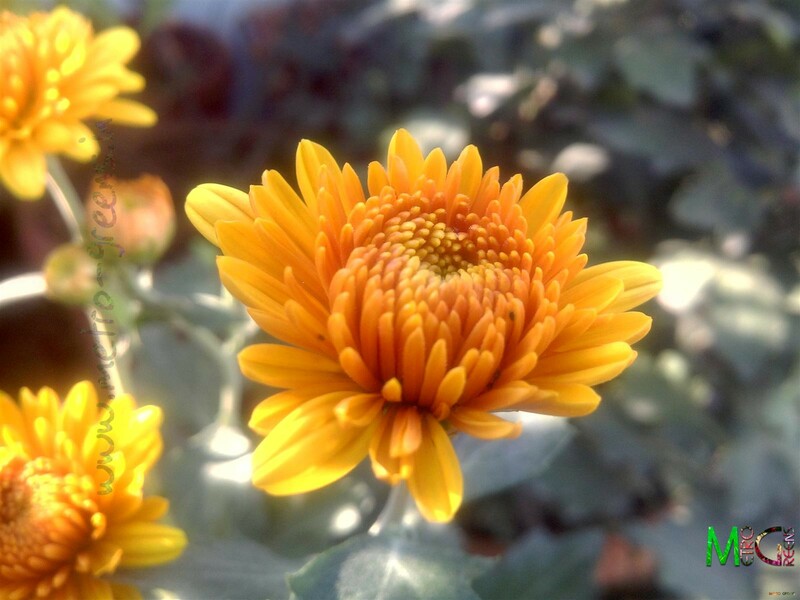 The orange chrysanthemum bud, midway through the bloom. 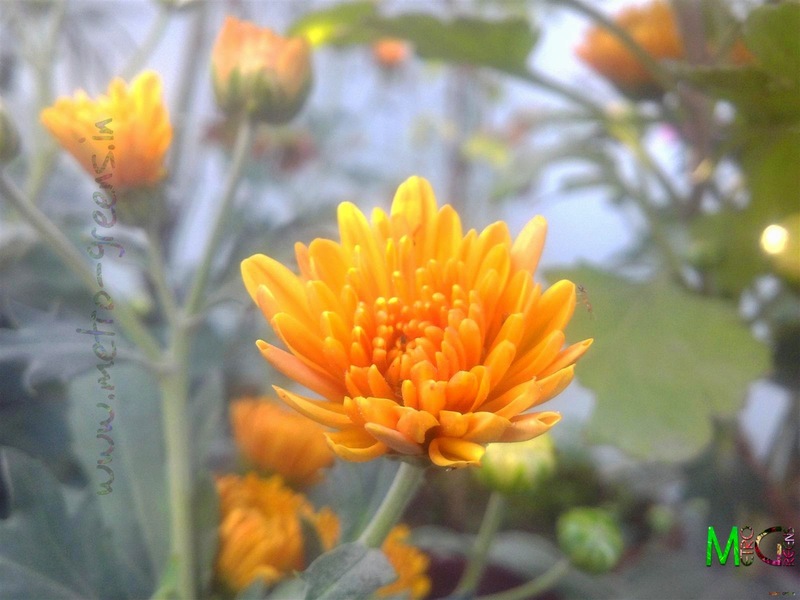 A orange chrysanthemum bud, midway through the bloom. A sight to relish, the orange chrysanthemum buds and blooms, some opening up, some developing and some midway through the bloom. 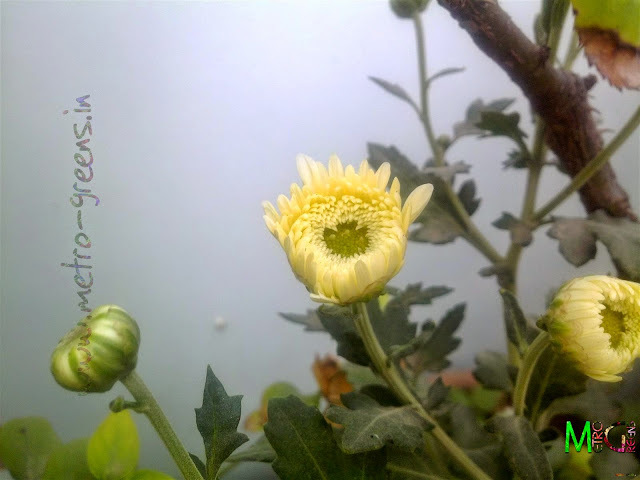 A cream coloured chrysanthemum bloom, yet to completely bloom. 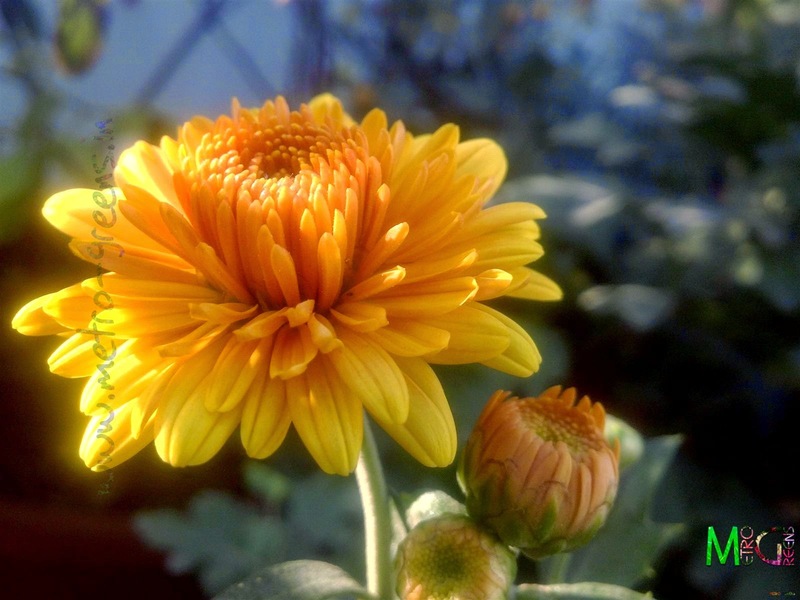 An orange chrysanthemum bloom, midway through the bloom, along with a small bud. This flower show will continue for a month, so, I will again have a revisit post with the chrysanthemums, when the blooms are at the peak. Will be back in the next post, most probably, with some new winter plants, as I intend to get new winter plants like petunia and pansy for the first time, calendulas and a few dahlias, as a regular feature of my winter gardens. Till then, keep trying and HAPPY GARDENING! I came to your blog, from Anunoy's blog. Thanks, Manogna. 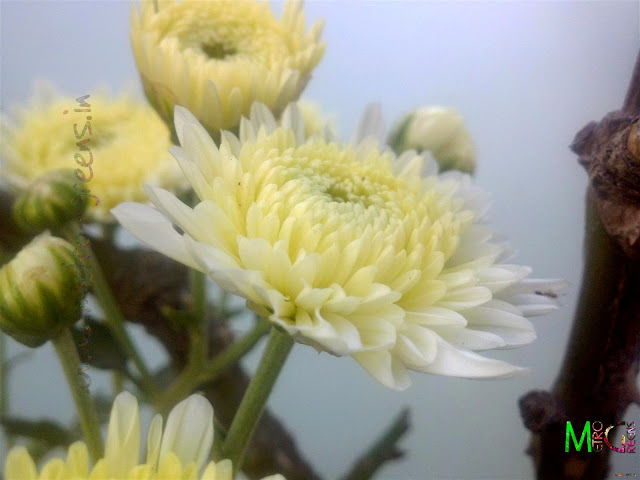 Chrysanthemums are indeed beautiful flowers, worthy of being loved by all.